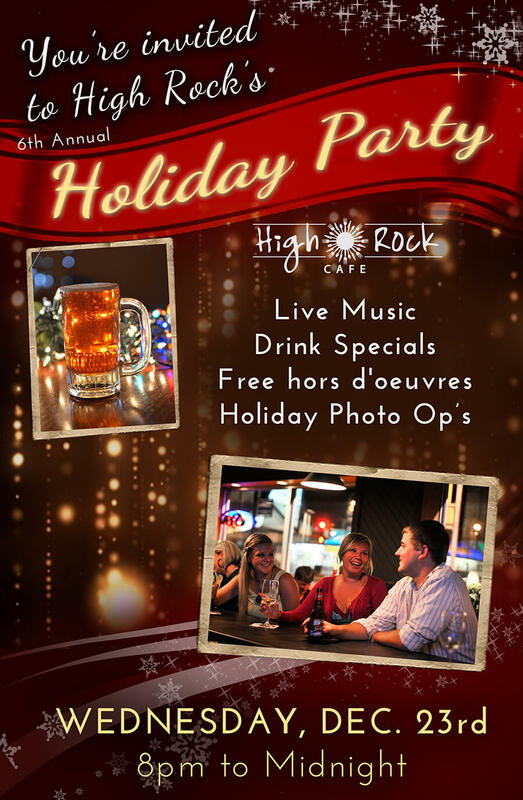 We hope you can make it to the 6th Annual High Rock Holiday Party on Wednesday, December 23rd from 8pm to midnight. There will be live music, free apps and will be a great time to get together with friends before Christmas! Hope to see you there!